The journey begins where it ended this summer: in the beautiful Black Forest and Swabian Jura of Southwestern Germany. While in Stuttgart, we stayed at Campingplatz Cannstatter Wasen, a convenient site wedged between the Neckar river and a vast fairground to the east. 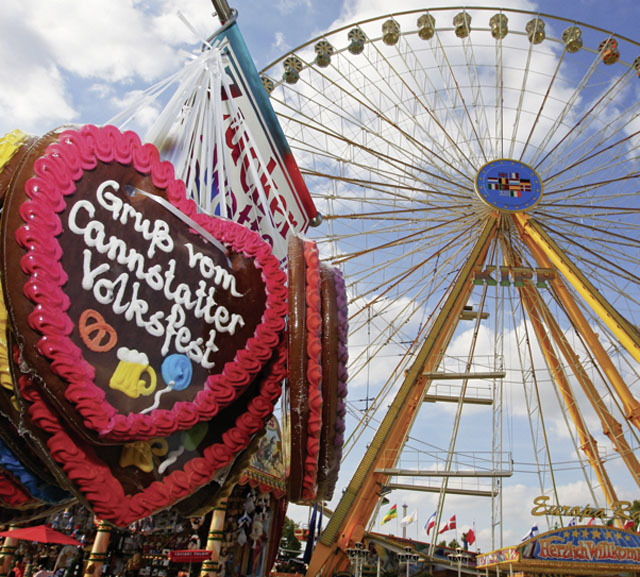 All was quiet when we visited in June, but now it’s festival time and in September and October the Cannstatter Volksfest is in full swing. The event started in the 1800’s as a one-day harvest festival, but has evolved into a three-week celebration considered to be the second largest beer festival in the world after Munich’s Oktoberfest. It was in Stuttgart that I met Silvi and family for the first time, and when we said goodbye she presented me with a small gift – a cookbook that featured traditional Swabian recipes so that I could remember our visit. 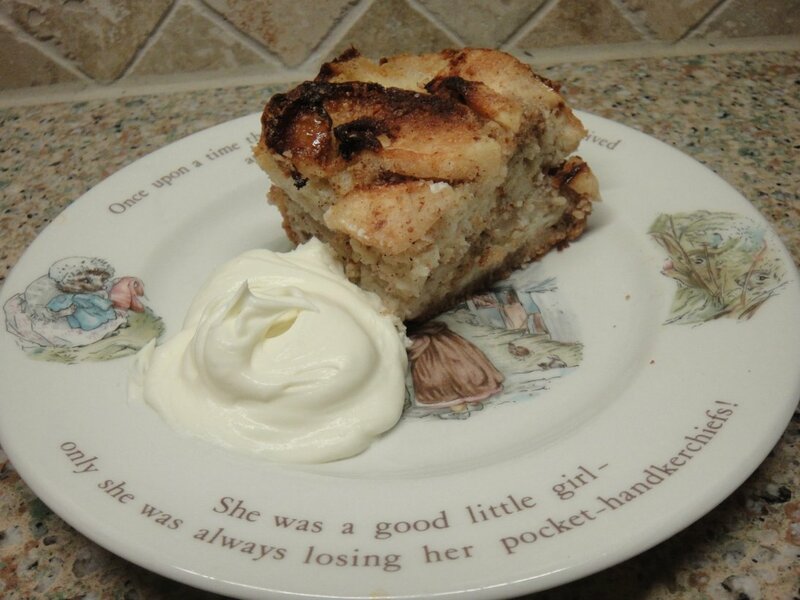 In honor of new family and fond memories, my first recipe is a perfect way to celebrate autumn’s apple crop. Peel, quarter and slice apples. Mix with 3 T. sugar and rum and leave to allow flavors to blend. Remove crusts from sliced bread or slice rolls into thin slices and moisten with milk. Beat butter until fluffy and then blend in egg yolks, remaining sugar, cinnamon and ground almonds (I use a mini food processor). Whisk egg whites separately until stiff. 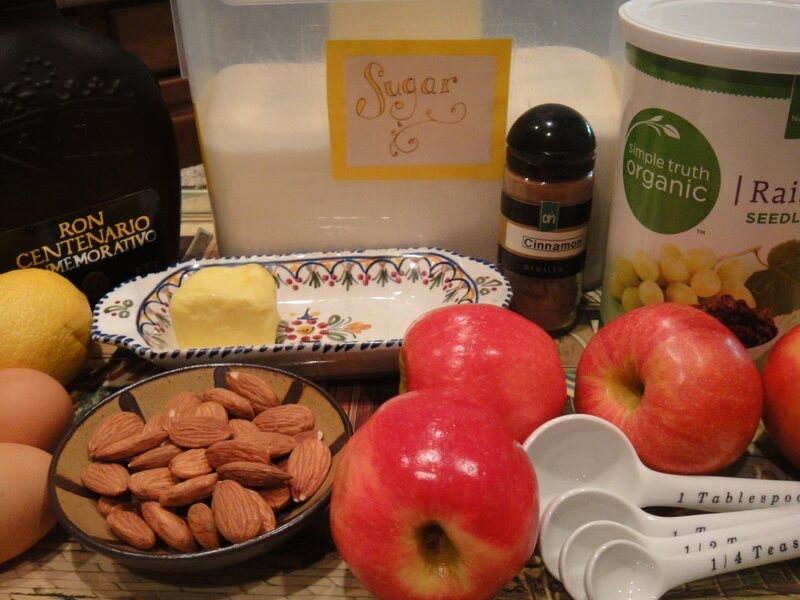 Fold apple slices and raisins and egg white into the butter/egg yolk mixture. Grease an 8″ square oven proof pan with butter or cooking spray and sprinkle with bread crumbs. Layer the bread slices and apple mixture and dot with butter on the top. 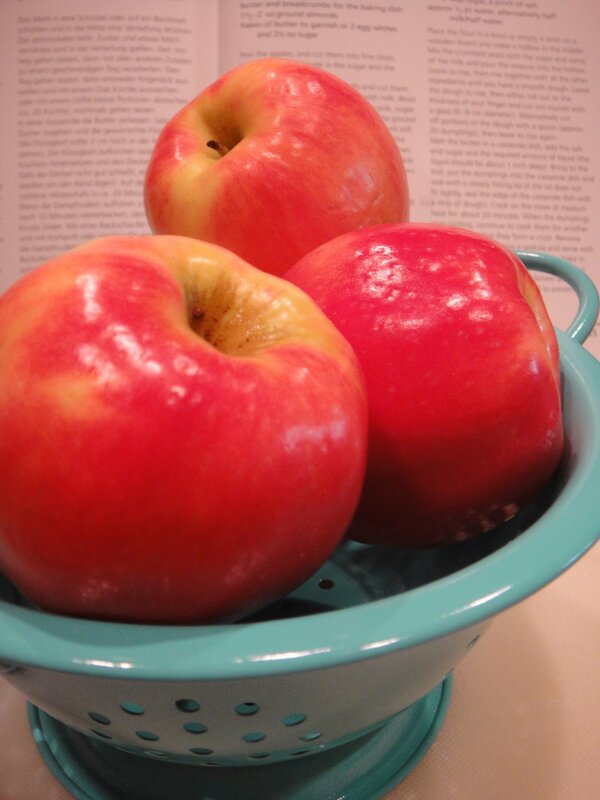 Bake the apple pudding for 30-40 minutes at 375° until golden brown. Serve with ice cream or whipped cream if desired. Our family has had four Eurocamping adventures over the years and people often ask which campgrounds were our favorites. Sometimes a campground is interesting because of its proximity to a beautiful natural area or a great city. But other times a campground can be memorable and extraordinary. Here are a few of the most memorable. 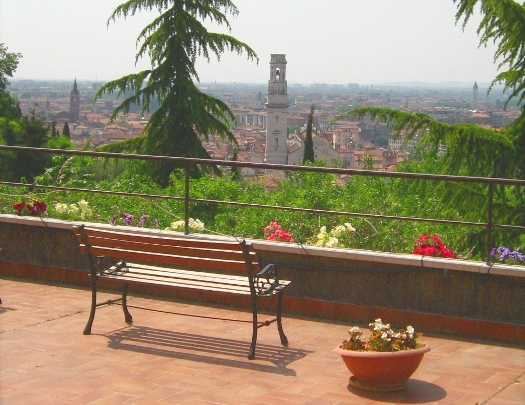 Imagine camping in the ruins of the ancient city walls high above Verona. What could be more exciting? The tent sites are fairly small, but there is an extensive network of wooded terraces with enough space to set up a tent. The views of the city are incredible and we enjoyed the covered picnic shelter for dining al fresco. Located in the hills above Budapest, this campground was once a historic tram terminal and the station building now houses an on-site restaurant offering authentic favorites such as goulash. The owner is friendly and helpful and greets guests with a welcome drink and free breakfast. Nestled in a wooded setting, the campground is fairly convenient for public transport to the city with a bus stop right outside the entrance. This campground is far from roughing it. 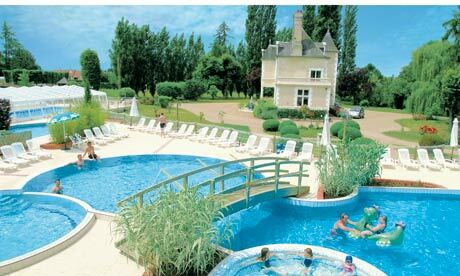 On the grounds of a chateau less than 1 km from magnificent Chateau du Chambord, this site is in a beautiful setting and features a water park, tennis courts and mini golf. Camping Michelangelo offers the best views of Florence and rates are a steal for staying in the city. With a terrace restaurant, store and the city of Florence a short walk away, camping under the olive trees is convenient and memorable.